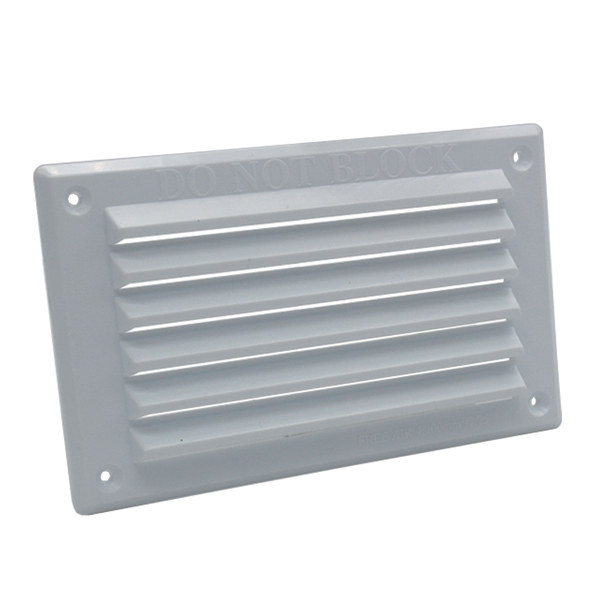 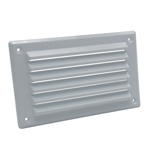 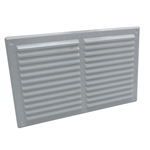 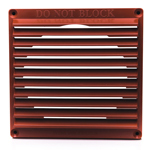 Plastic louvre grille suitable for internal and external use. 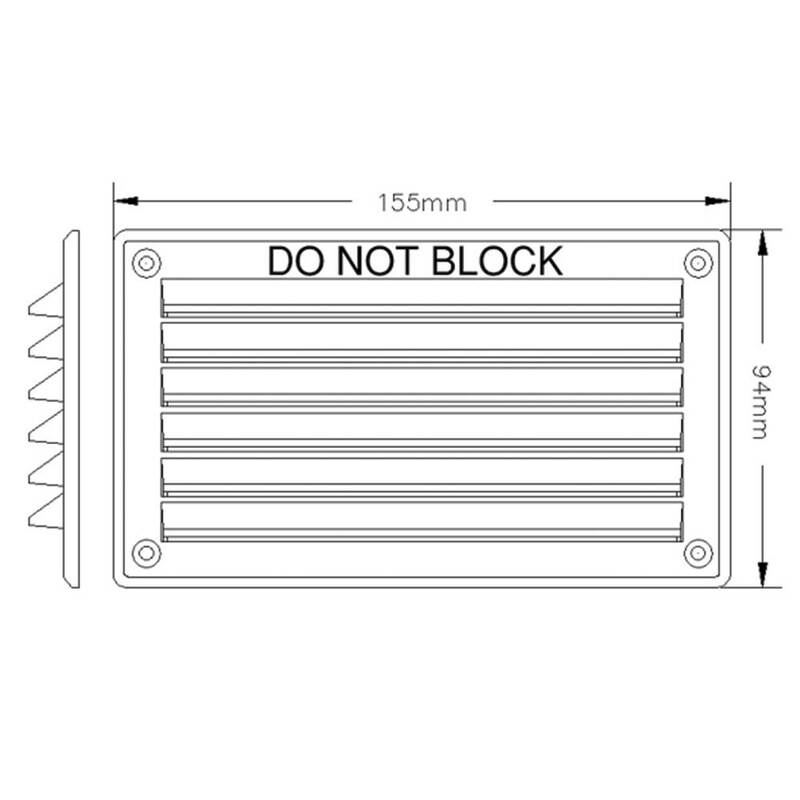 Total size is 155mm L x 94mm H (see image gallery). 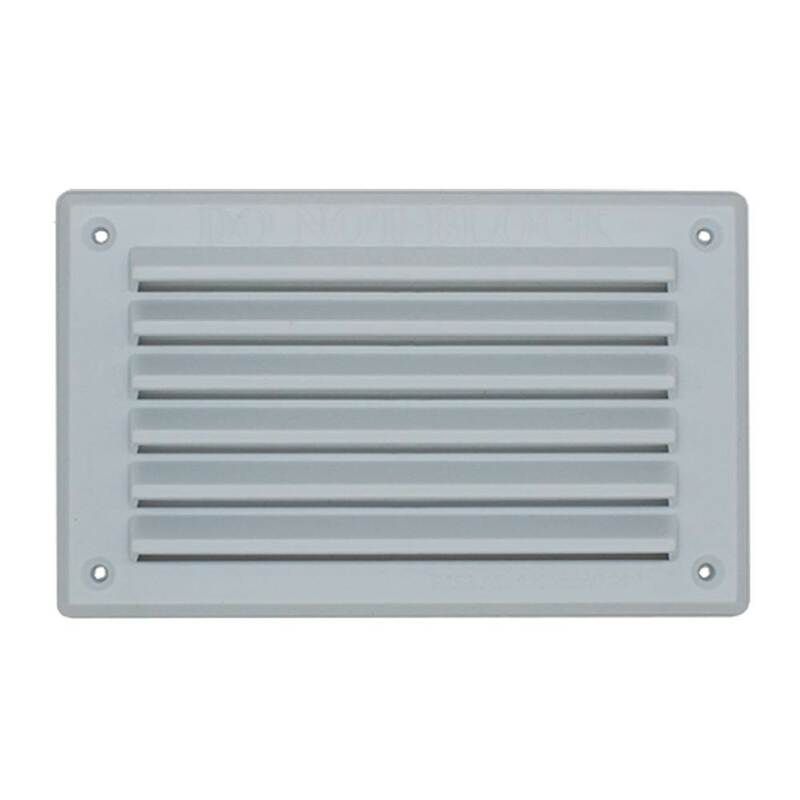 Free Area: 4,748mm² (47.48cm²) per unit. 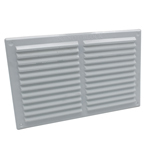 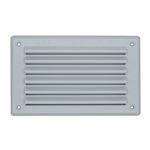 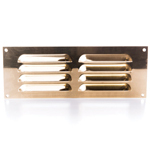 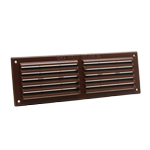 Low profile fixed open louvres allow a high air flow for the size of the vent. Small plastic louvre grille. 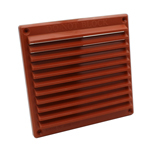 Size: 155mm L x 94mm H. Free Area: 4748mm² (47.48cm²) per unit.